"What footprint do you want to leave behind on the planet?" "What would you want to be remembered for by the people who live on after you?" Who you are, how you relate to others, and how you engage with the world around you is directly aligned with the culture you are born in, the education you have been given, and your individual purpose. While everybody has a purpose, many people remain unconscious of it throughout their entire lives. The danger of it is that you may stay stuck in old patterns and habits and miss the opportunity to live a life that's true to yourself. Your purpose is the essence of who you are. Although you may express it in different ways in different contexts, it’s what everyone close to you recognizes as uniquely yours and would miss the most if you were gone. To figure out who you are in such a world, let alone “be nobody but yourself,” is indeed hard work. 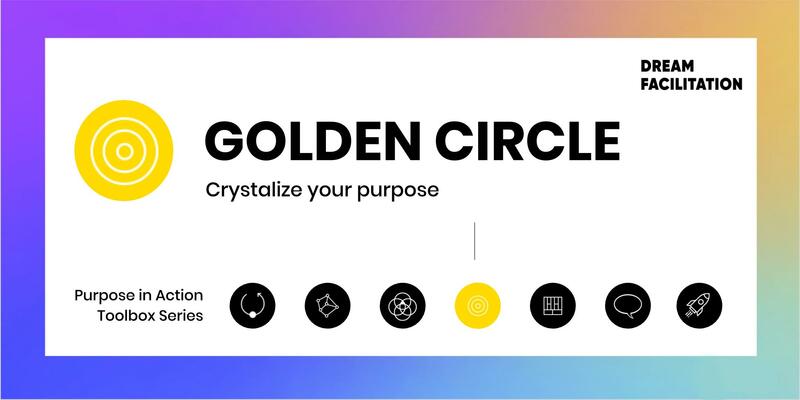 In this workshop we will apply the Golden Circle framework to help you crystalize your purpose and create a balance between your WHY, HOW and WHAT. Fulfillment comes when we live our lives on purpose. 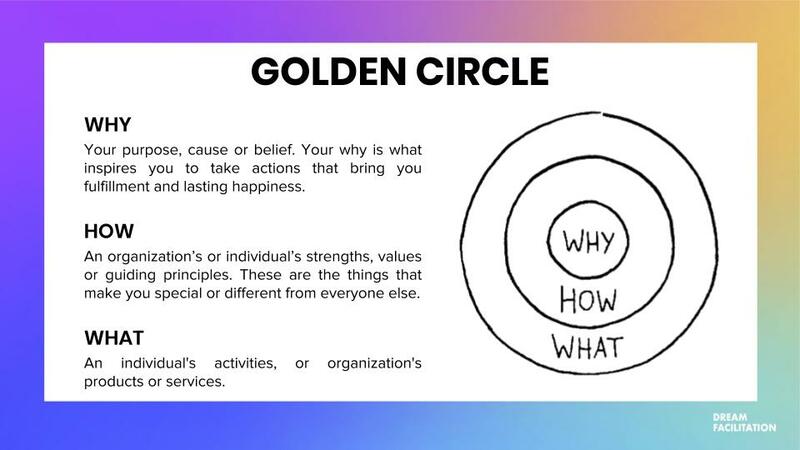 Whether you are an entrepreneur, an employee, a leader of a team, or are looking to find clarity on your next move, your WHY is the one constant that will guide you toward fulfillment in your work and life. Get a clearer idea of who you are and what you want, ready to start mapping out your dream. Crystalize your WHY, HOW and WHAT statement. Learn an easy framework to communicate from the inside-out and speak directly to the part of the brain that control emotions, behavior and decision-making. Get empowered and confident to take action towards implementing your project. Tess Tettelin, Storyteller and Design enthusiast. As a storyteller and creative creator, Tess is dedicated to help passionate entrepreneurs share their story online, using social media, (web) design & creative copywriting as her tools. With her strong empathetic communication skills, she's passionate about connecting individuals with their own unique voice, and impacting the world by sharing their unique gifts.